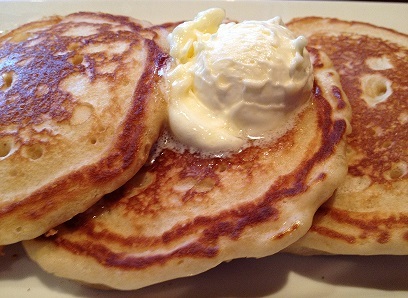 This buttermilk pancake recipe is exactly the same today as many years ago at grandma’s house. They are delicious, moist and tender. It is now a favorite restaurant recipe. Make them small and stack them or large enough to fill a plate. Use a quality syrup or topping. 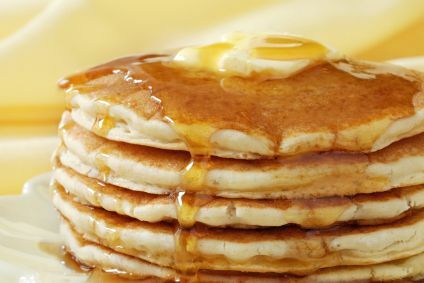 Enjoy your restaurant breakfast recipe, your buttermilk pancakes, and the company of those you share it with! Please click around on the web site for more favorite restaurant recipes - recipes you can count on. You can cook with confidence and style. "The laziest man I know put popcorn in his pancakes so they would turn over on their own."